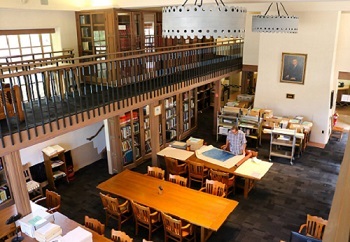 Permissions must be granted to publish images of Center collections.The Center also provides fee-based digital duplication services for both research and publication purposes. Additionally, free self-service scanning is available, as well as other duplication options. Request forms for duplication, publication and other Center services are provided below. Please download and complete the appropriate form and either email it to cswrref@unm.edu, or print it out and bring it to the Center reference desk in Zimmerman Library. The Center serves a wide range of students and researchers from throughout New Mexico, the U.S., and the world. If you are traveling from far away, please check our hours. Please see Using Collections before contacting the library.